Alfredo Monacelli was born in Varese, a northern city of Italy, near Milan in 1967. In 1990, following his military service, Alfredo immigrated to Vancouver, Canada, with his parents Franco and Malvina Monacelli and his brother, Stefano, leaving behind his older brother, Pierluigi. Then they moved to Victoria in 1993 where Alfredo worked managing a restaurant. His interest in photography drew him to start a photofinishing business in Langford, while working in Victoria as a photographer. During this time his call to priesthood matured. In 1999, Malvina, Alfredo’s mother, was called to heaven. In 2002, three years after his mother’s passing, he began his journey towards his vocation to the priesthood and entered St. Joseph’s seminary in Edmonton, Alberta, under guidance and direction of our beloved Bishop Raymond Roussin. Fr. Alfredo believes his mother’s prayers played a role in the direction toward the priesthood and continued to support him through his studies and gave him the grace to successfully graduate from Newman Theological College. In 2006, Alfredo travelled to Campbell River to complete his formation with one year of internship under the direction of Fr. Bill MacDonald. Bishop Richard Gagnon ordained Fr. Alfredo Monacelli to the priesthood in 2008. After his Ordination, Fr. Alfredo was sent to Holy Family/Notre Dame in Port Alberni as Assistant Pastor, with the task to serve the First Nation Community in Ahusat, off Tofino coast. This experience serving the First Nation community Fr. Alfredo says, “ powerfully enriched my experience of priestly life”. After a year and half at Holy Family/Notre Dame Parish in Port Alberni, Bishop Richard requested Fr. Alfredo to move to the northern end of Vancouver Island to serve the North Island Communities of Port McNeill, Port Hardy, Port Alice and Alert Bay. In 2010, Fr. Alfredo’s first assignment as Parish Pastor came as Pastor of St Edward Parish and Queen of Angel School, in Duncan. He also had the joy of serving the beloved sisters, Franciscan Poor Clares at the St. Clare’s Monastery in Duncan. It was during this time, November 2014, Fr. Alfredo’s father, Franco, was called to join his mother, Malvina to everlasting life. Their heavenly presence is a grace to Fr. Alfredo. After serving the Catholic community in Duncan for the past five years, Bishop Gary invited Fr. 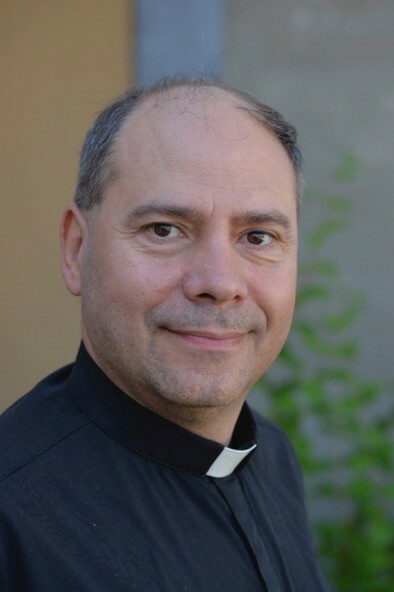 Alfredo to return to Victoria and become Pastor of St. Joseph the Worker Parish and St. Joseph’s School. The Duncan community was sad to say goodbye to their beloved pastor but now a new and beautiful adventure has begun !